Home » life » His parents find him semi-beheaded on the farm. When they see what was attached to his cell phone they realize why. His parents find him semi-beheaded on the farm. When they see what was attached to his cell phone they realize why. Sixteen-year-old Bradley Willoughby from Queensland, Australia, is a motorbike enthusiast who likes to ride on the farm where his parents live. This can be in and of itself a dangerous activity. But when he had an accident, an accessory for the phone that almost all of us carry posed the greatest threat to his life. Bradley had been listening to music through the headphones of his iPhone under his helmet while he was riding his motorbike. Unfortunately, he landed a jump awkwardly and the bike’s throttle got stuck, launching him into a barbed wire fence. 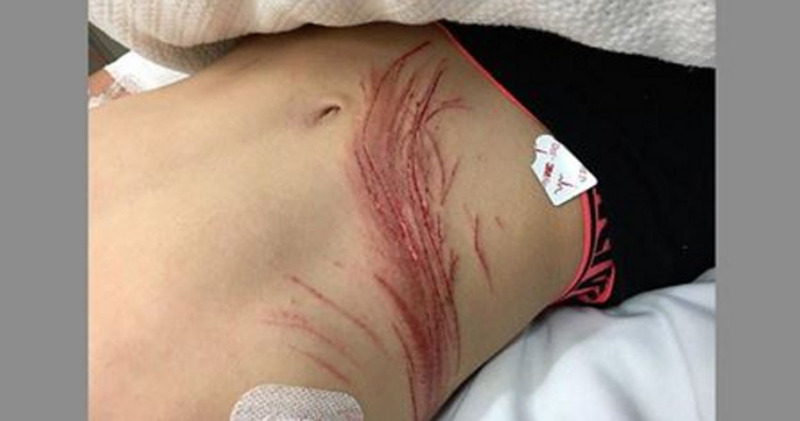 The impact broke and dislocated his ankle and slit open his stomach. But even more serious injuries were caused by the headphones. As his head went through the fence, the headphone cables snagged on the barbed wire. Because the earbuds were jammed inside his helmet, they didn’t pop out. Instead, the rubber coating was pulled off, leaving the surprisingly strong copper wires, which — given the force of the impact — were sharp enough to almost decapitate him, narrowly missing the teenager’s trachea. His father had to pull the wires out from the cut in his throat while they were waiting for the medevac to arrive. Although Bradley was a competent motorbike driver who always took the necessary precautions, his mother said he had no idea that listening to music with headphones could be so dangerous. Now she hopes that by sharing the story of what happened to him, others will benefit from the warning. “Do not wear wired earphones under a motorbike helmet, it’s potentially life threatening,” she cautioned. One might also point out that listening to music on any headphones — wired or not — while driving is extremely dangerous for other reasons. For one thing, you might not hear danger (other vehicles, for example) approaching. Bradley had operations on his leg and neck and has months of recovery ahead of him, but he’s extremely lucky to have survived. Hopefully, his experience will help increase awareness of the dangers of operating vehicles with headphones on and prevent others from experiencing a similar or worse accident.